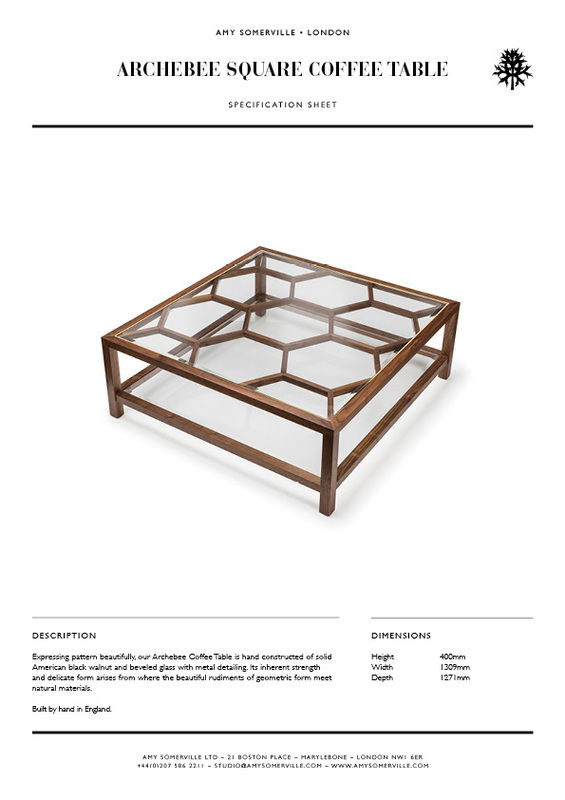 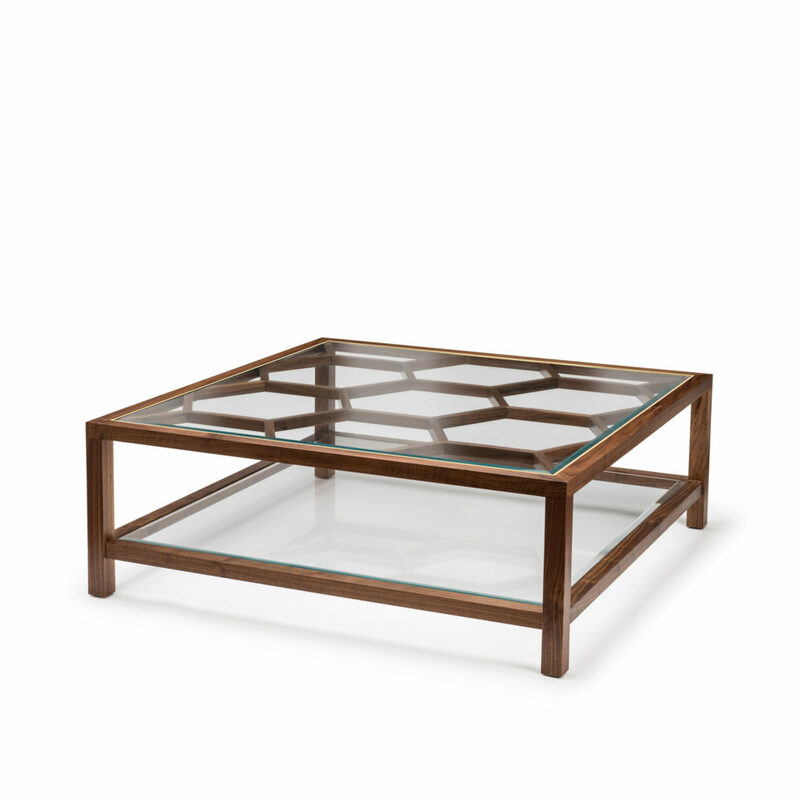 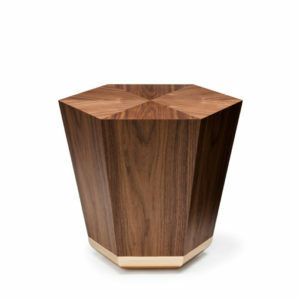 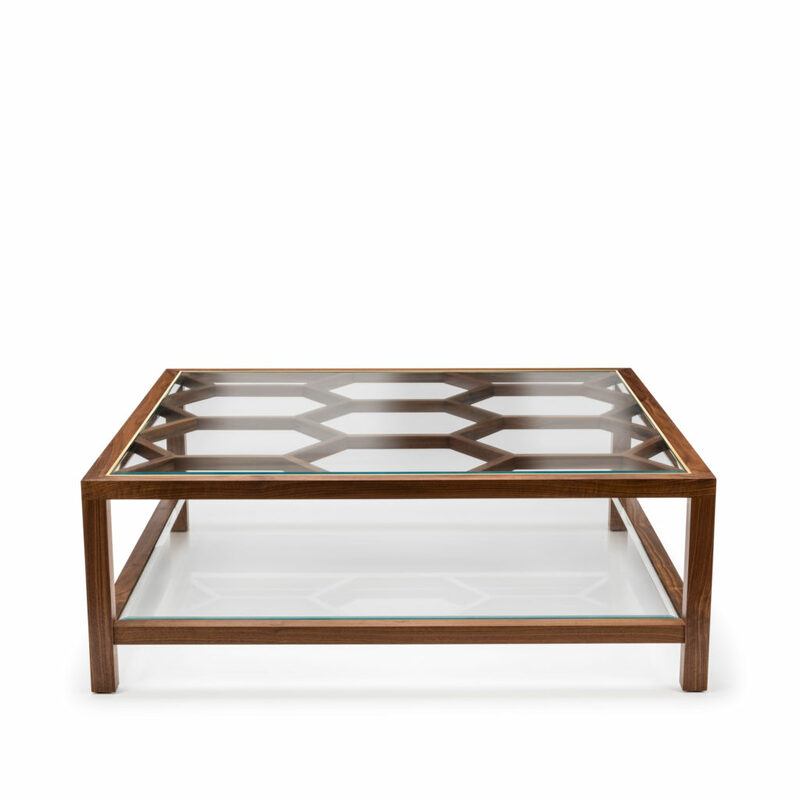 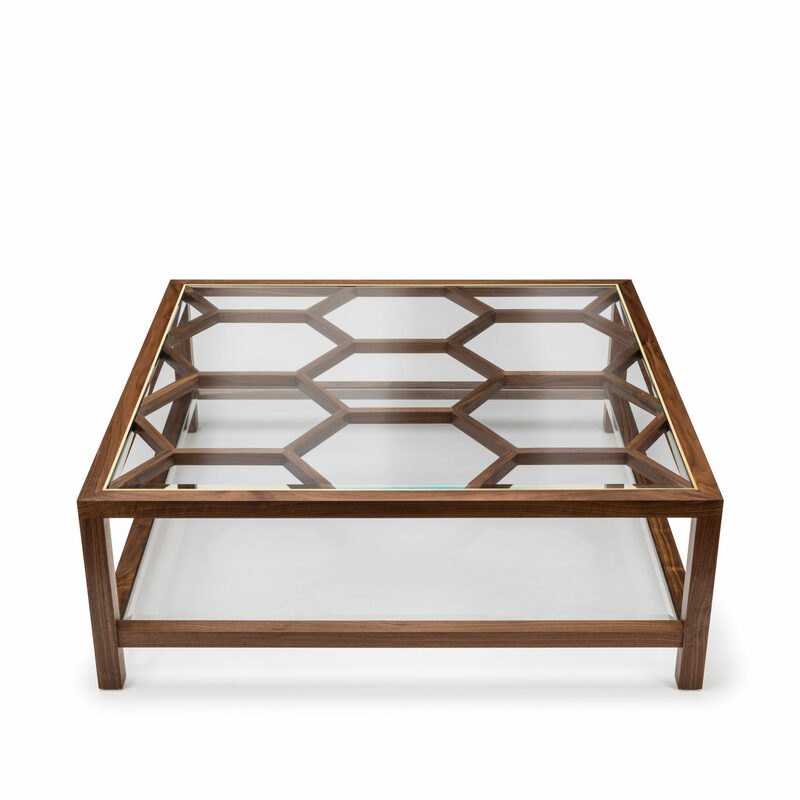 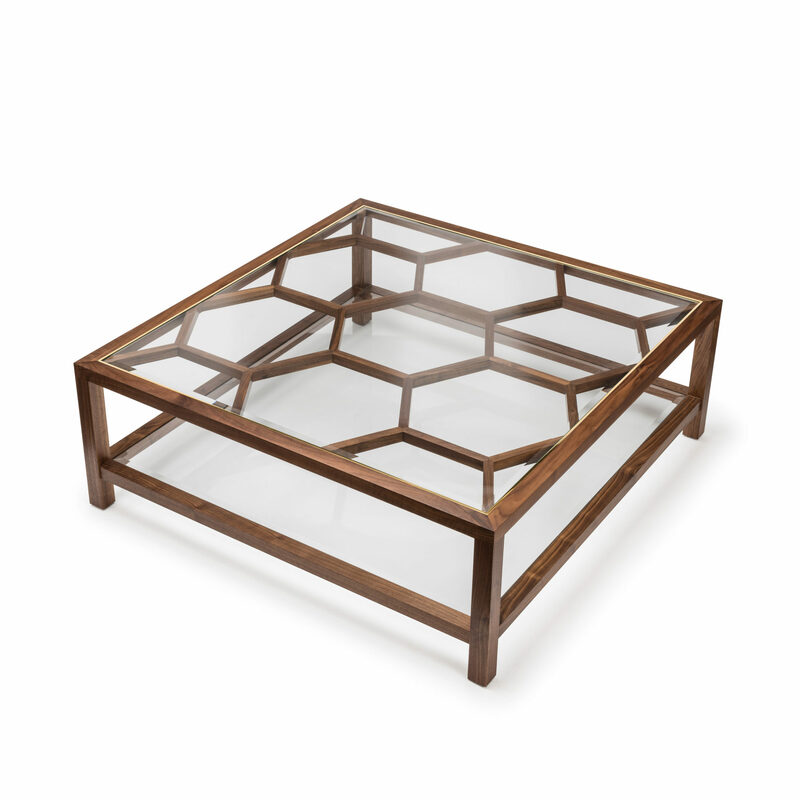 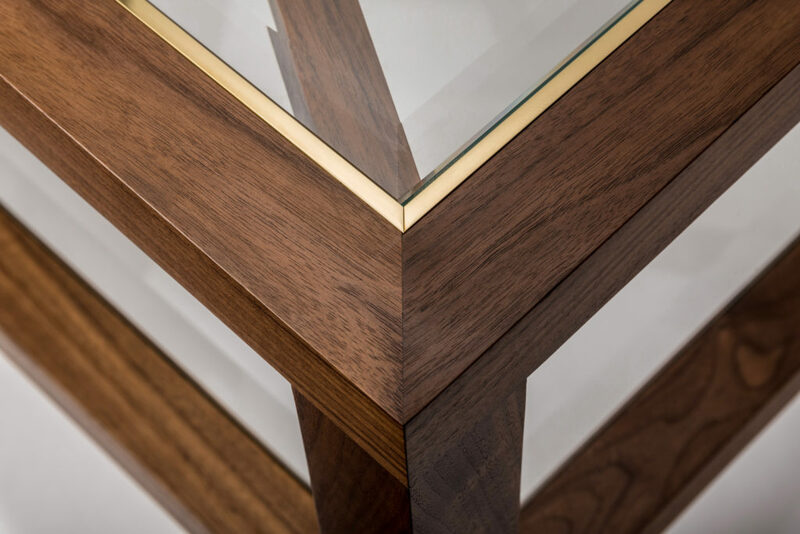 Expressing pattern beautifully, our Archebee Coffee Table is hand constructed of solid American black walnut and beveled glass with metal detailing. 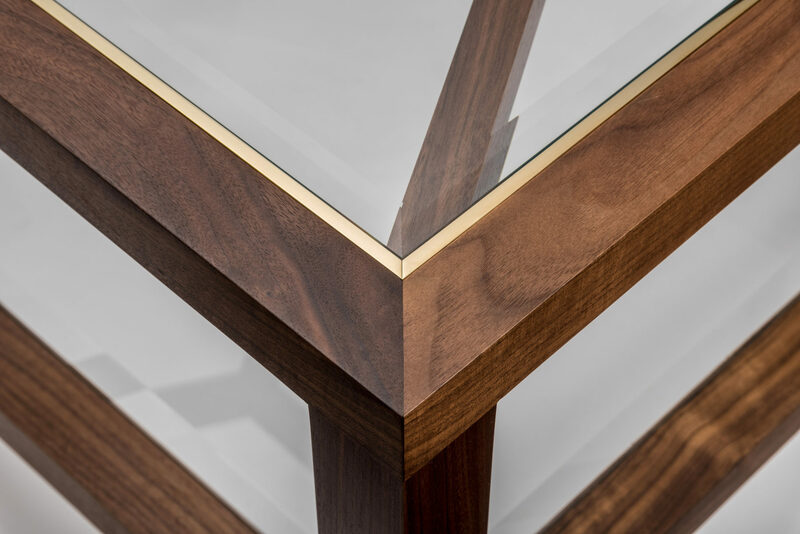 Its inherent strength and delicate form arises from where the beautiful rudiments of geometric form meet natural materials. 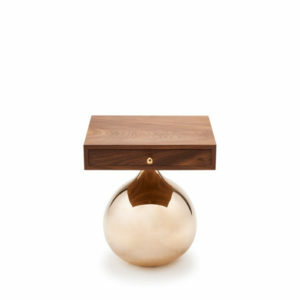 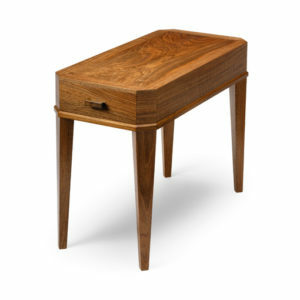 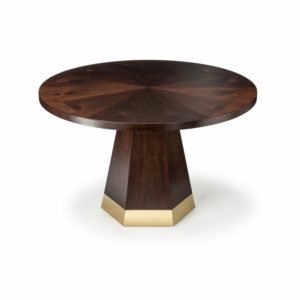 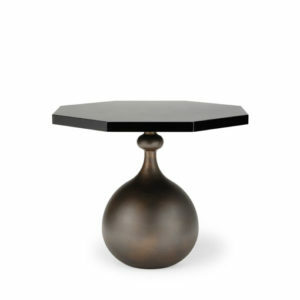 The table is shown here in American black walnut natural oiled light and polished brass. 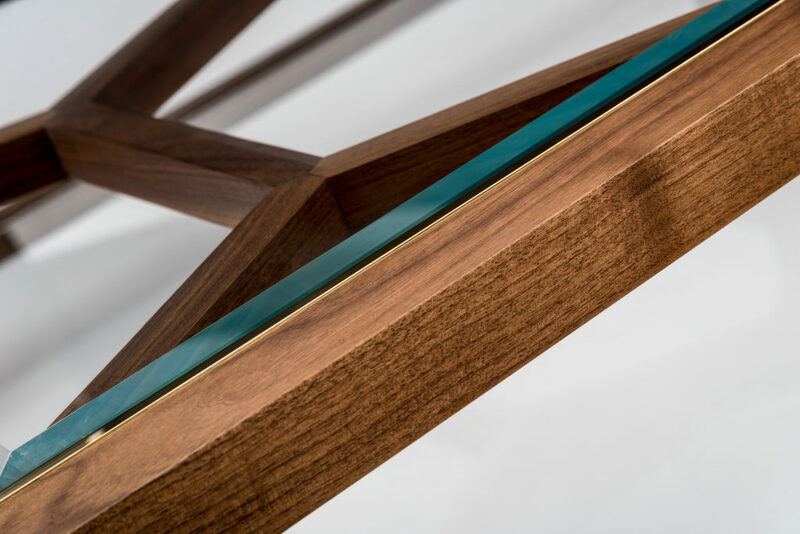 The table is shown here in a simple natural oiled finish, allowing the inherent beauty of the solid American black walnut to shine through. 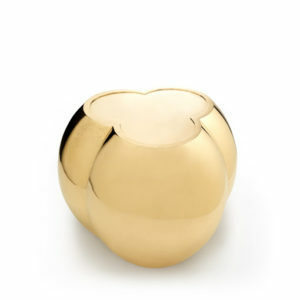 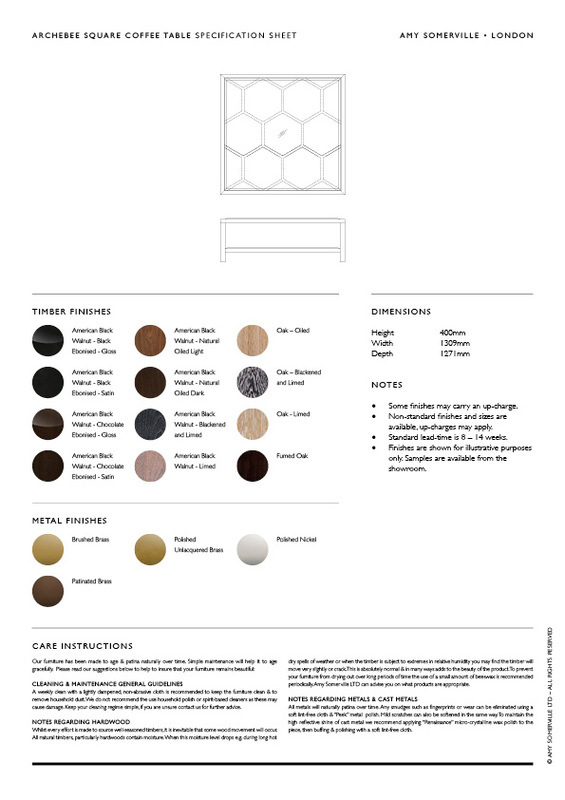 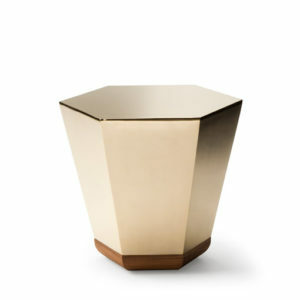 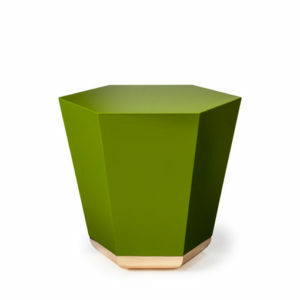 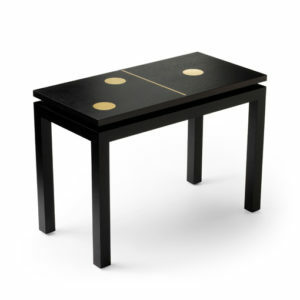 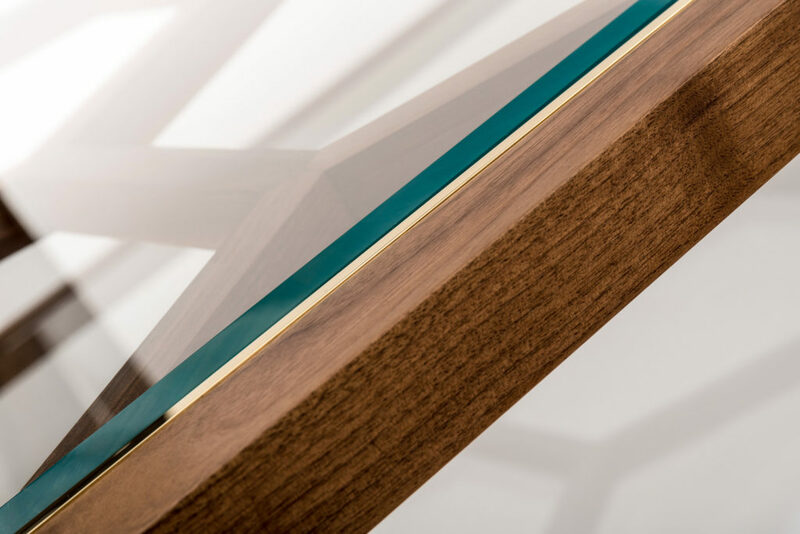 The piece is available to order in a multitude of finish combinations, as can be seen below. 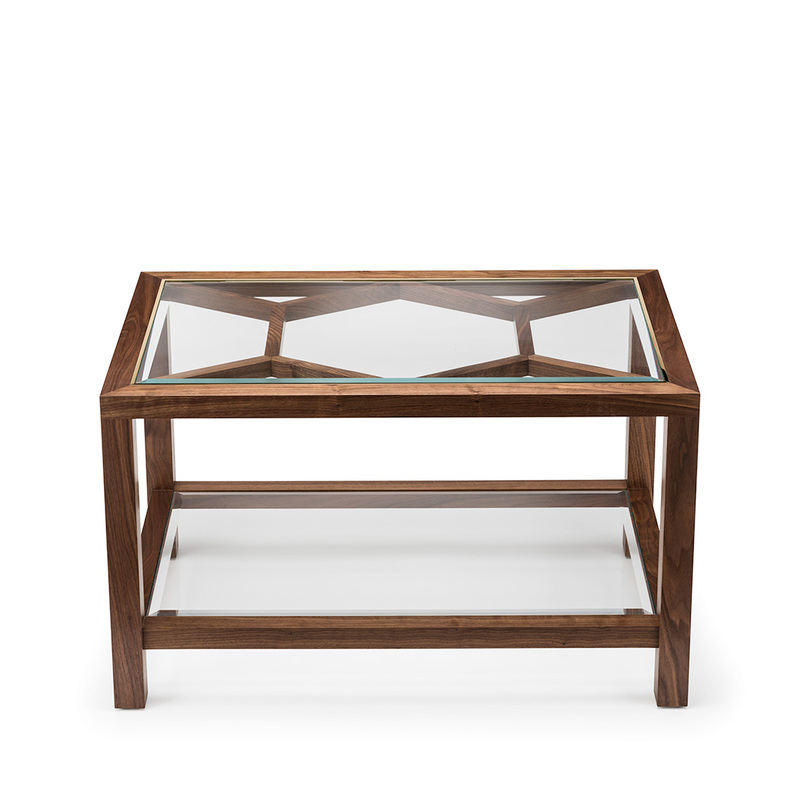 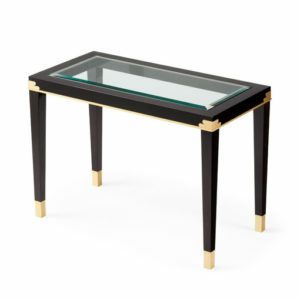 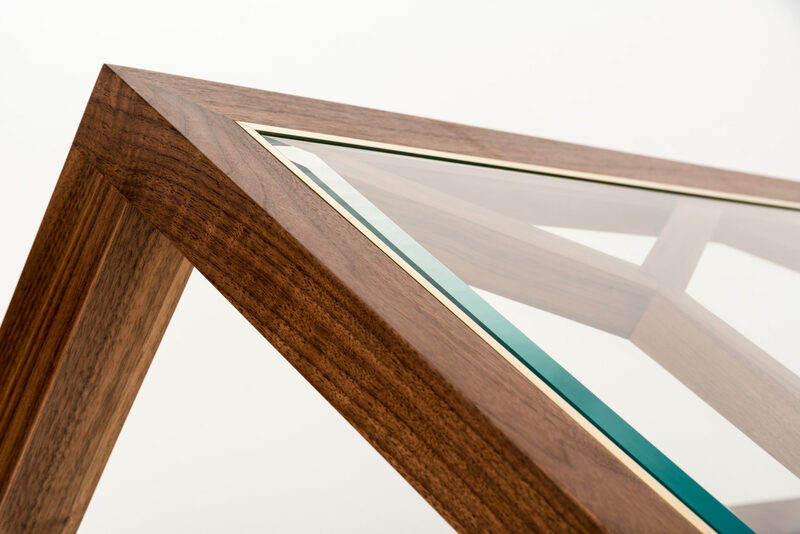 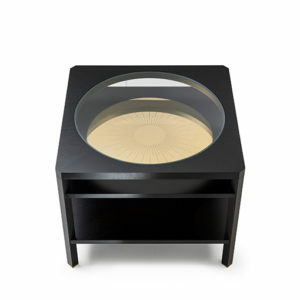 The Archebee features a beveled glass top framed with a subtle band of metal.